As promised, Facebook has announced a big new update to its Android mobile platform that integrates the social network deeply into the phone’s operating system, making it the foundation of the smartphone interface. “Today, our phones are designed around apps, not people,” said Facebook’s Chief Hooded Sweatshirt Mark Zuckerberg. Pointing out that users spend three times as much time on the Facebook app as they do other apps, Zuck explained the idea not just bringing status updates to the fore, but about making them the default screen for your smartphone. It makes the user’s news feed the primary interface screen, allowing the user to scroll, comment on, and “like” updates without having to enter a separate app. Zuckerberg says he wanted Home to feel like system software, not just another app. “But apps are really important too,” he added, explaining that to access your phone’s actual apps, you’ll need to swipe from the Cover Feed screen to bring up your menu of installed apps. Of course, some of the most used apps on a smartphone are the messaging apps, which Facebook has integrated with what it calls “Chat Heads.” The app combines your phone’s SMS messaging with Facebook messenger and pops up a “head” of the person you’re chatting with over whatever app you’re currently using. So if you’re playing a game or reading your e-mail, you won’t have to switch out to a new app. You can expand, collapse, and organize multiple chat sessions without abandoning your currently running app. 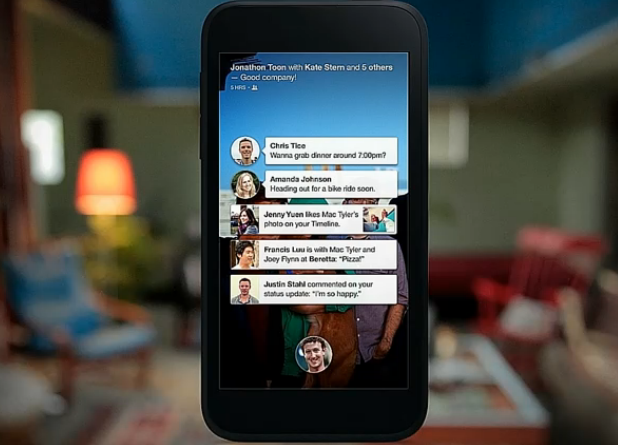 Android users who currently have Facebook and its Messenger app installed, will be prompted to update to Home when it’s ready to launch. The update will be pushed through the Google Play store. There will be monthly updates. Facebook says that though Home will not be available for tablets at launch, it is the company’s goal to have it available for the coming months. Previous Perhaps You’re Not Too Keen On Horsemeat, But Hey, How About Guinea Pig For Dinner?